Tags: Buy Hard Disk, Buy Hard Disk Online, External Hard Disk, Hard Disk, Hard Disk In India, Hard Disk Online, Online Hard Disk. For your on-the-go lifestyle WD brings it portable External Hard Drive, WD My Passport 2 TB USB 3.0. With massive storage now you can store as many photos, videos, games, documents and much more. WD My Passport is light in weight and is compatible with Windows and Mac as well. With amazing features like, Auto backup, password protection, and beautiful design, this hard drive is set to be your favourite companion for easy use anywhere, anytime. So grab this amazing hard drive providing ample space, keeping your files and documents safe. WD My Passport 2TB Hard Drive comes with very unique design. It has bold design and comes with beautiful colours. It will fit in your arms easily as it is compact, sleek and light in weight. You can carry it anywhere flaunting your style and carrying your files. We can face space crunch if we do not have good storage. But My Passport Hard Drive easily provides you ample space of 2TB to cater this issue. With this massive storage you need not worry and save as many files, movies, music and other documents you want. It will help you protect you data and keep them safe. Now keep your worry of getting your files/documents lost at bay. This drive comes with backup software. You can set its schedule to run automatically. So all what will be needed is that you select a file or files that you wish to backup and schedule its backup time. You can also set the frequency in which you want your files to back up. What can be better than this to feel safe and secured of your work without any fear of losing it. WD My Passport 2TB Hard Drive comes with password protection feature also, which keeps your content private and secured. 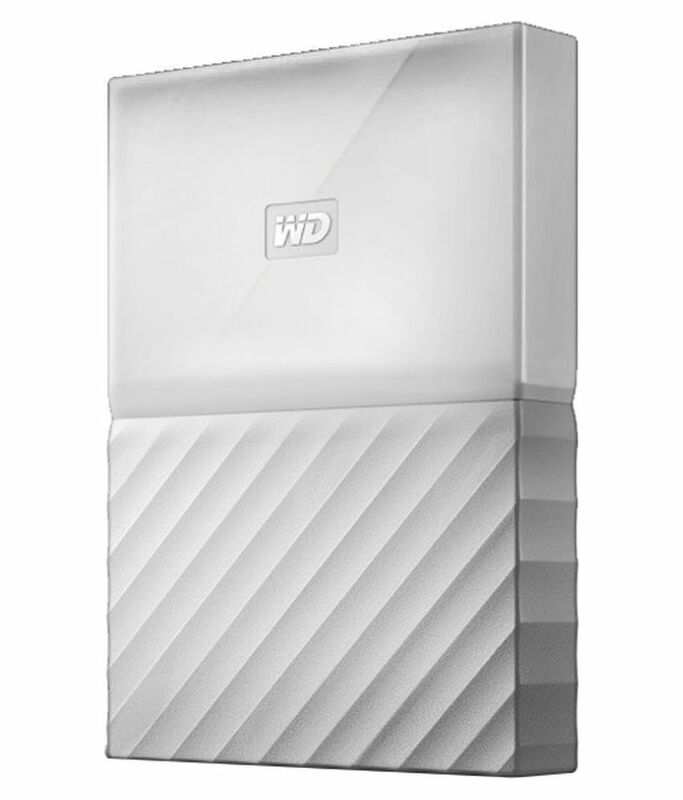 The drive is equipped with built-in 256-bit AES hardware encryption with WD Security software. You just need to activate the Password Protection and set you own password. Adding to this you also can add “return if found” message as password prompt in case you leave behind the drive somewhere. It would be of great help to get My Passport Hard Drive back. So need to worry about someone getting access to your drive as you can set the password to lock and unlock the device. This easy to use hard drive comes with USB 3.0 interface and Power/LED Light to show the power status. WD My Passport is compatible with Windows (Windows 7, 8, 8.1, 10) and Mac. My Passport will come with the cable and user manual along with the drive.